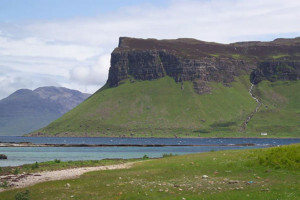 Several small islands lie off the coast of the Ross of Mull. 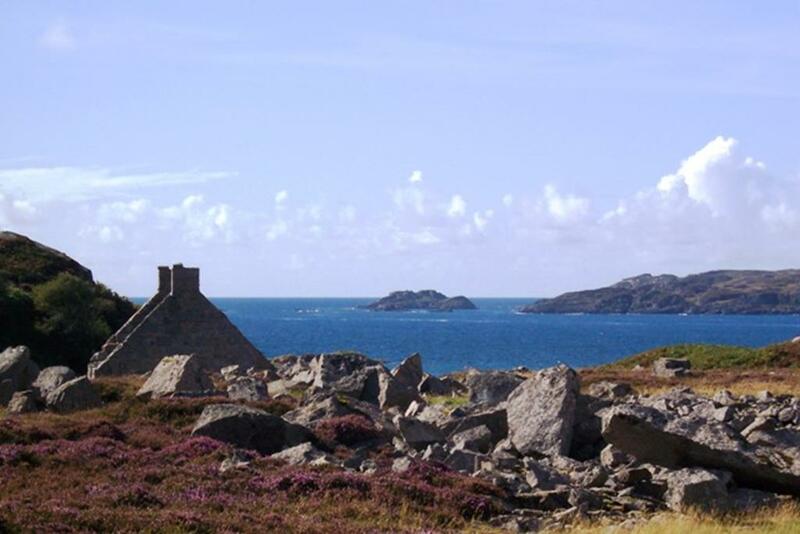 Each island is steeped in history with fabulous scenery, all of which make them an important feature of the area. Below is a brief description of each with a link through to their individual pages for more information. 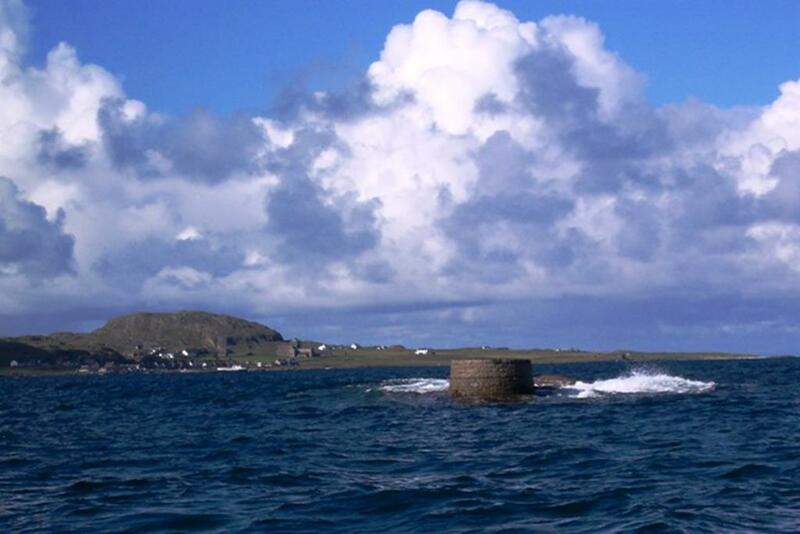 Erraid is a tidal island accessible on foot via Knockvologan on the south coast of Mull. Known for Balfour's Bay (of 'Kidnapped' fame, The Stevenson Way), a secluded white sandy beach at the south end of the island, the small white lighthouse observatory where the lighthouse keepers wives communicated with their husbands when they were on duty at Dubh Artach lighthouse (16 miles south south west from Iona Sound) and where John proposed marriage to Jane in October 2005. Lovely wee beaches, tiny colourful sea shells galore, and the Findhorn Community, this is one of our favourite spots. Inch Kenneth is known for its ancient graveyard of the Kings of Scotland, hill fort, stones and the Mitford family. Inch Kenneth is home to an unusual land, a unique looking property which stands out when you first see the island as you come through the glen from Pennyghael and start the descent down.A privately owned island and property, accessible only by boat, very few people have had the privilege of stepping foot on this island and even fewer inside this most unusual looking house. Towards the end of 2011, there was speculation in the pressthat the island and house would be opened up to the public by it's current owner 87 year old artist Yvonne Barlow and her husband Andrew. 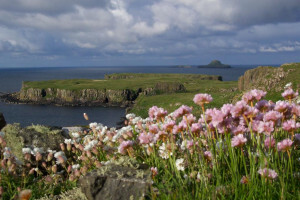 Treshnish Isles are known for their spectacular scenery, bird colonies including puffins and the occasional corncrake, wildlife including ferral domestic black rabbits, fortifications, ancient history and stunning fauna and flora. Accessible by boat only from Fionnphort and Iona during the main summer months, it's a great trip out which takes in a visit to Staffa and lasts about 5 hours. Ulva is a beautiful small isle off the west coast and one of our all time favourite places to visit. Described as Mull in miniature, it has some gorgeous woodland walks, and scenery along with some fascinating history. Worth the wee trip over in the little ferry boat, just for lunch or afternoon tea at the award winning Boathouse tea room. 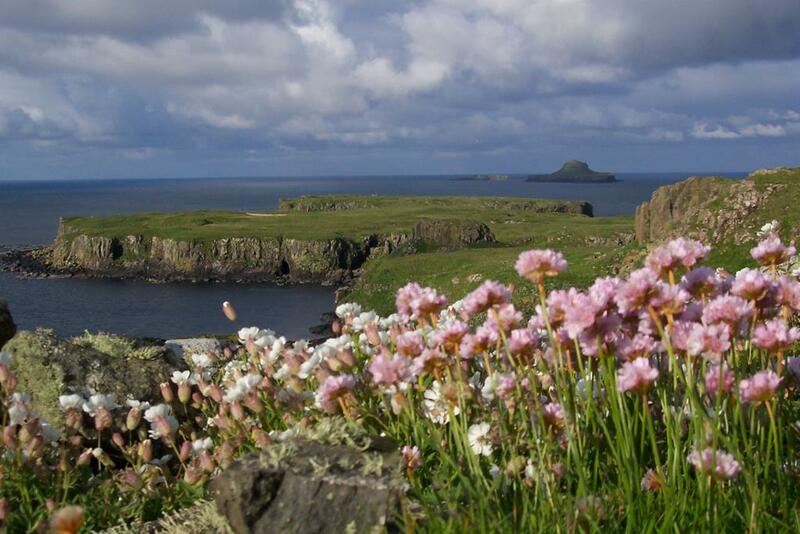 Fabulous for a great day out.Visit the Isle of Ulva's website for lots more information and some really delightful and stunning photos.